Fawwar Refugee Camp. Photo EAPPI/R. Pond. Our first visit to Fawwar Refugee Camp was to meet and hear the story of Khalil Muhammed, a 11 year old boy who was tragically shot by the Israeli army on 10 August. On our follow-up visit to Fawwar Refugee Camp, we find ourselves sitting in the city center talking to Mohammed Abed Al Fattah Al Titi, known as Abu Akram. 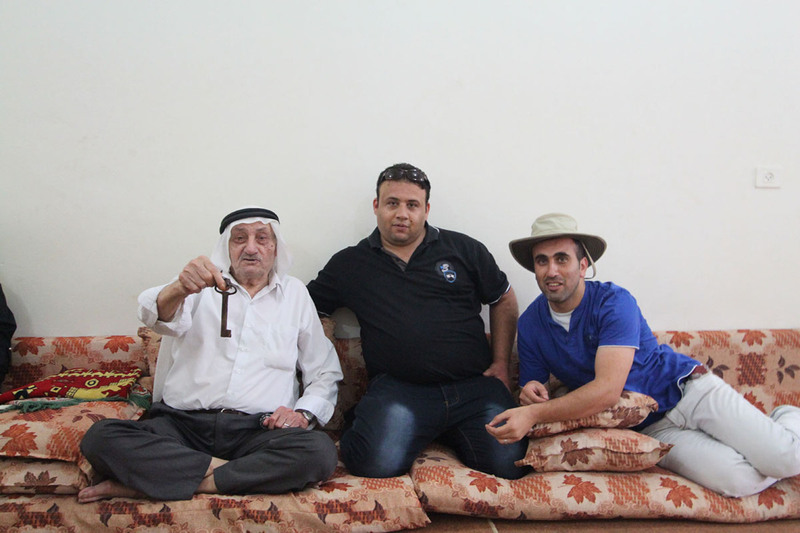 Several of his descendants sit on the floor cushions facing us, at times helping Abu Akram to clarify his story. 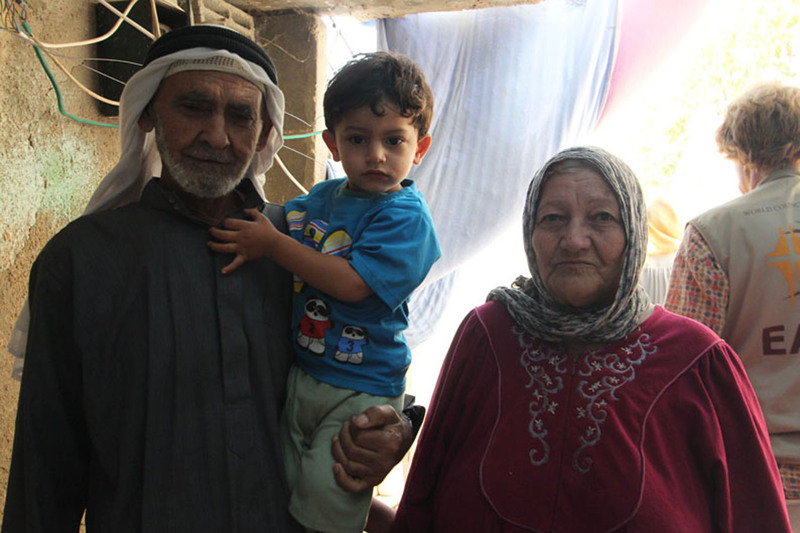 Abu Akram is an old man who tells us the story of the Nakba in 1948 and how he along with his family and neighbors from the village of Iraq Al Manshelha were forced to leave their village and become refugees in their own country. He clearly remembers the exact date, 14 May, 1949. He still dreams of going back to his village and his house and proudly shows us the key to his house in Iraq Al Manshelha, which he still has. Both of our visits with the people of Fawwar Refugee Camp have painted a picture of both despair and hope. On the one hand, Fawwar is a community created out of a war. The only purpose of the refugee camp is to house exiles and their descendents. Yet, out of this situation comes ray of hope and promise for the future. Perhaps not Fawwar itself, but the people who live there. Although the residents of the refugee camp do not know when or if they will be able to return to their homes or be compensated for their loss, many still have the keys for their homes, which is a symbol of hope that they will one day return to their homes. The symbol of the key is prominently displayed throughout the community in murals and graffiti as a visible representation of this hope for a future return home. Mohammed shows the key from his home. He is one of less than 5 survivors from the original inhabitants of Fawwar still living in the community. Photo EAPPI/R. Pond. Fawwar refugee camp is located in the South Hebron Hills, close to the city of Hebron. Its inhabitants originally come from 18 communities, mainly in the Gaza, Beersheve, and Hebron areas. Currently, a population between 9,000 to 10,000 lives in an area less than one square km. According to an official of the village, the poverty level in Fawwar is 10 times worse than the official poverty level in Palestine. Fawwar suffers from an inadequate sewage and school system. The refugee camp is the scene of frequent clashes with the Israeli army with many inhabitants bearing the wounds to verify the confrontations. Fawwar exists under the constant eye of the Israeli army, which has placed a base and watch tower on the camp border. A large Israeli settlement and outpost also neighbor the community. 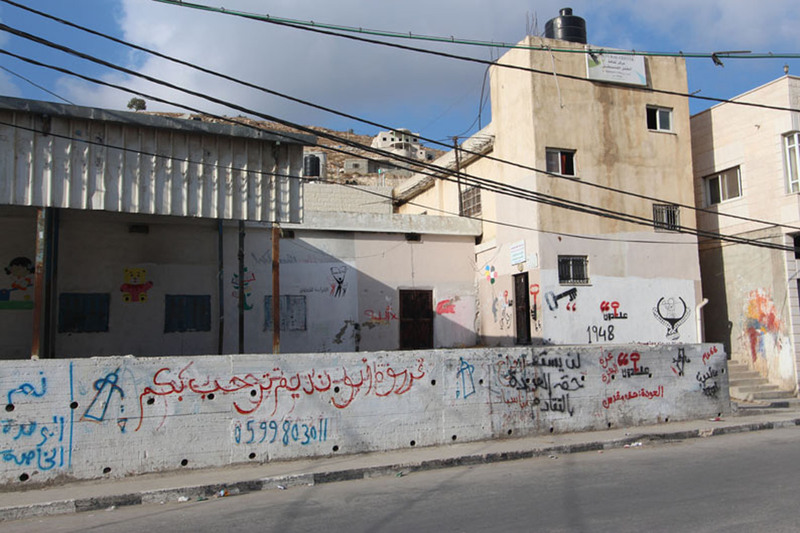 The Israeli army frequently raids the community at night, searches the community, and sets up flying road blocks, not only continuing the harassment in the community, but also maintaining an atmosphere of tension. Khalil’s grandparents with his younger brother. Photo EAPPI/R. Pond. When we first entered the camp, the parents of Khalil were suffering both grief and anger over the senseless loss of their young son. They showed us a picture of Khalil, which was posted all over the camp. The question still echoes, unanswered. 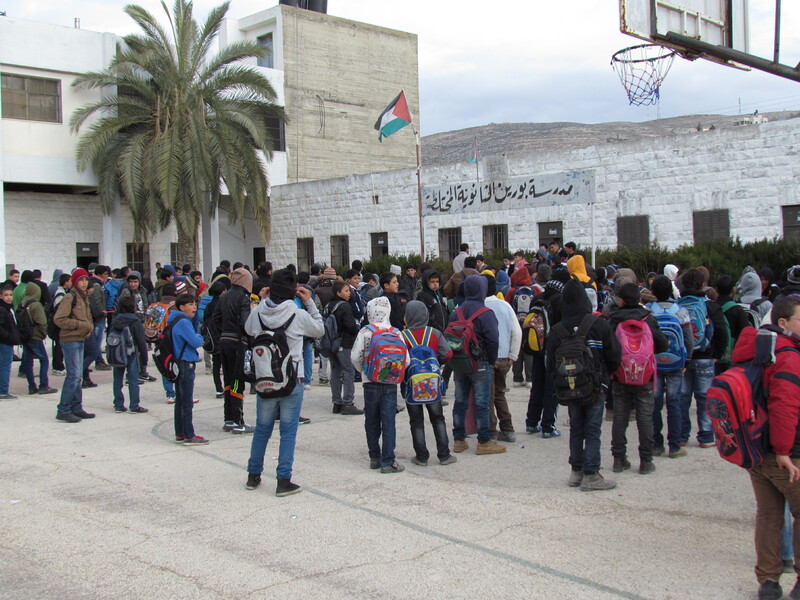 Before we leave Fawwar we have the opportunity to visit the Palestinian Child Cultural Centre where Shadi Titi, a physics teacher who volunteers as the Centre’s manager. 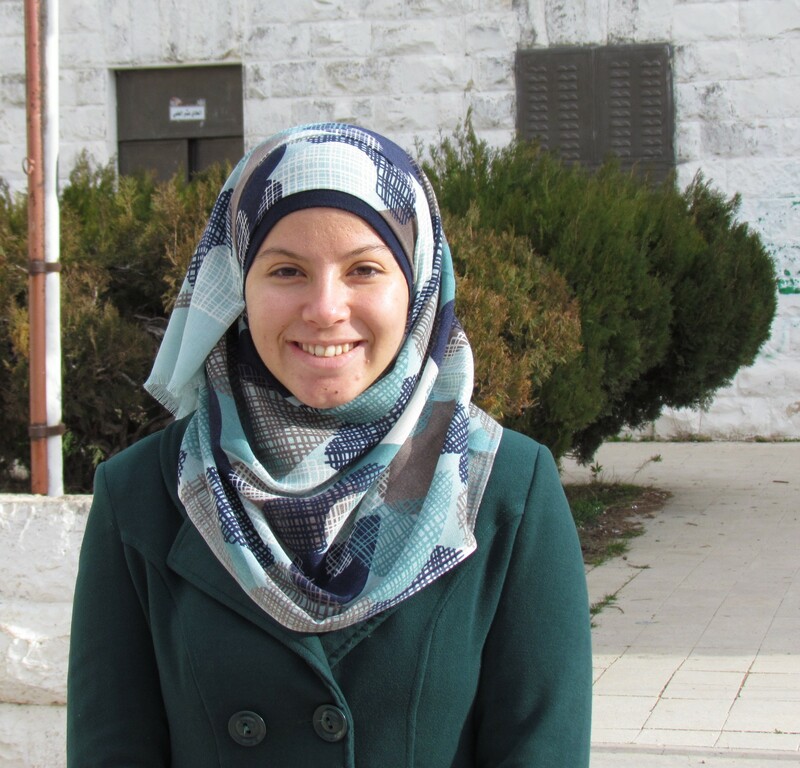 She introduces us to T. Khalil Nasser, who leads a youth Drama group currently rehearsing for a play In The Camp which depicts life in Fawwar for youth and which the will play in Hebron in the coming weeks. Interviewing these enthusiastic young people gives us hope for the community. Many are fluent in English and all individually spoke of their desire for peace and love for the future. Not one hint of hate or despair was reflected in their attitudes. An EA tours Fawwar Refugee Camp. Photo EAPPI/R. Pond. Children at the Palestinian Child Cultural Centre. Photo EAPPI/R. Pond. Visiting the community, we cannot help but be affected by both the despair of living in a refugee camp and also the overwhelming desire to move on to a better way of life. We also cannot ignore the many individuals bearing the scars, wounds and in some cases the handicaps that resulted from encounters with the Israeli army. But in this seemingly hopeless situation, friendship and generosity abounds. Walking down the only business street of the community we are greeted with many offers of friendship and support. Despite many generations who have lived under these terrible circumstances, they still hold out hope and promise for the future. We must not forget that all humans have the right to all human rights and to live a dignity. So do the people of Fawwar Refugee Camp. Let us hope that they finally will get the future they so rightfully deserve. Certainly those that have the education will be able to move to a better environment. But there are many, who for no fault of their own but simply from being refugees who live in poverty, have little education and very little opportunity to improve their lives without significant support from outside. They do not deserve to live in their current environment. We will continue to visit our new friends and be inspired by their hope for the future. 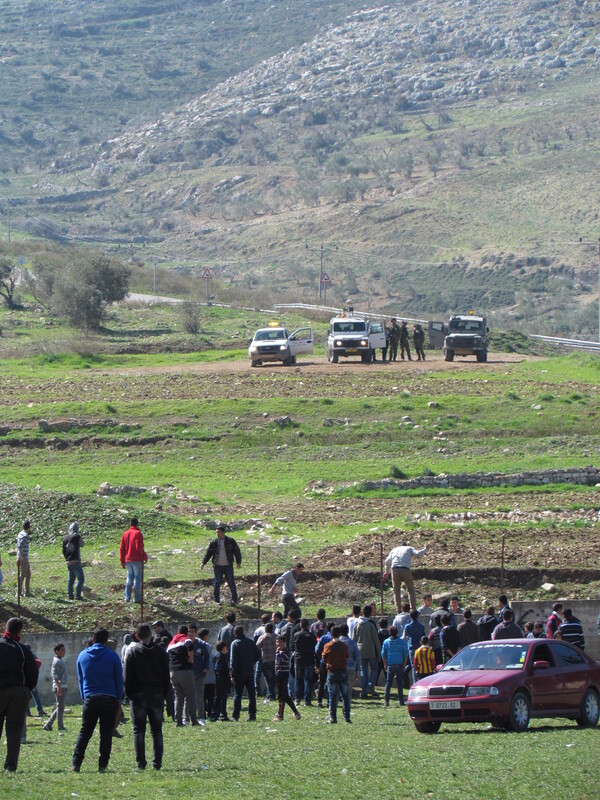 *Read more about our work in the Southern West Bank. As tensions rise, when will the international community say enough is enough? 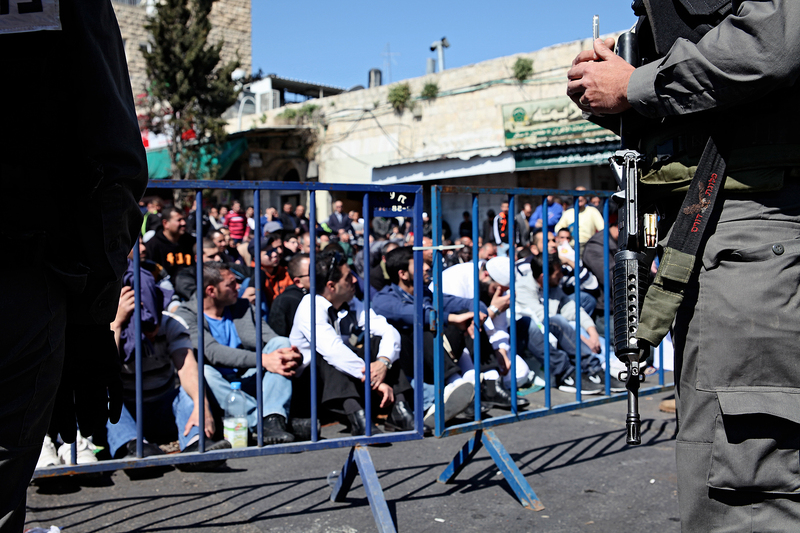 In recent weeks, tensions have risen in the West Bank and East Jerusalem. Six Palestinians were killed by Israeli forces. Palestinians mourned the deaths. Violence between Gaza and southern Israel renewed. At the same time, tension increased at Al-Aqsa mosque as Israeli forces closed access for worshippers. Worshippers pray outside an Israeli military flying checkpoint in the Old City streets when not allowed access to pray at Al Aqsa mosque. Photo EAPPI/K. Ranta. In recent months Israeli settlers have continuously harrassed the Al-Aqsa mosque, the third most holy site for Muslims. In one instance, Israeli settlers entered into the mosque area with the support of Israeli forces and tried to take an Israeli flag inside the mosque, which then turned into clashes with Palestinians. 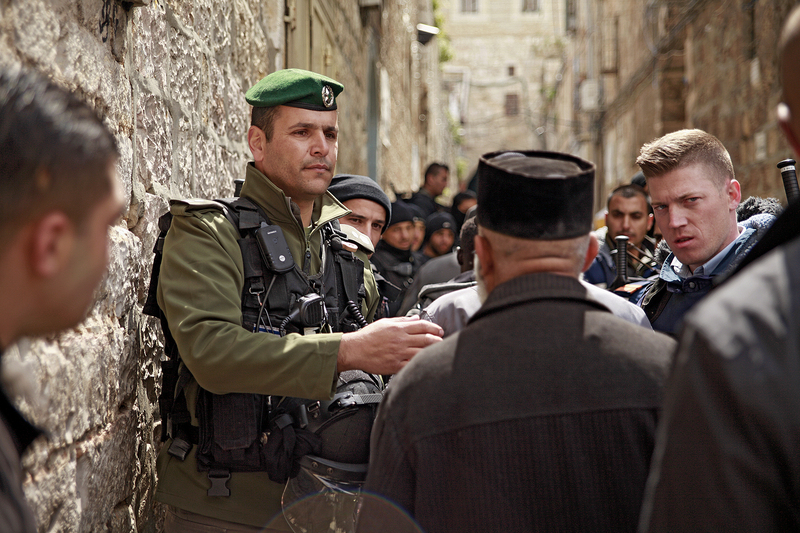 As EAPPI monitors we have witnessed heavy military and police presence in the Old City of Jerusalem especially during Friday prayers; a presence that contributes to an atmosphere of tension. On Friday February 28 Israeli military closed access to pray in the Al-Aqsa mosque for thousands of men under 50 years old. 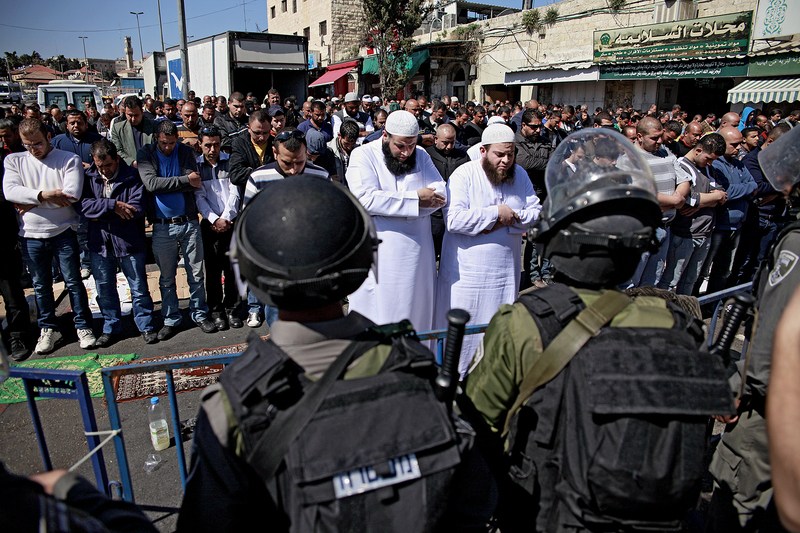 In a peaceful response, worshippers lined the streets of the Old City to pray, despite heavy military presence. Israeli forces closed access to Al Aqsa mosque for men under the age of 50. 28 February 2014. Photo EAPPI/K. Ranta. Again, on Friday March 14 men under 40 were blocked from entering the Al-Aqsa Mosque for Friday prayers. Israeli forces set up flying checkpoints within and outside of the Old City of Jerusalem. The Israeli military inspected the IDs of Palestinians and turned many away, forcing them to pray in the streets. Israeli soldiers set up a flying checkpoint in the Old City of Jerusalem on Friday. They check the IDs of Palestinians before granting access to pray at Al Aqsa mosque. Photo EAPPI/K. Ranta. In the past week, Palestinians mourned after six people were killed in the West Bank and three in Gaza. 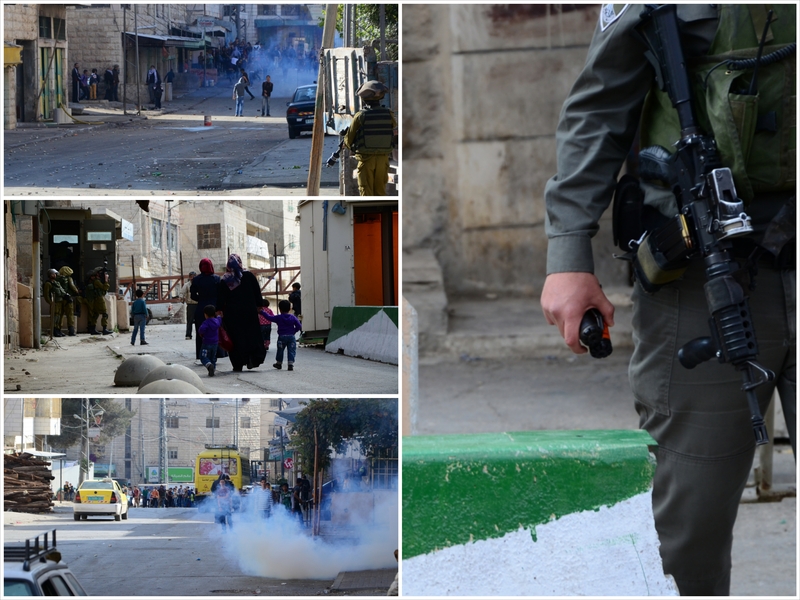 Many of the demonstrations turned into clashes between Palestinians and Israeli forces. On Tuesday March 11, EAPPI monitors witnessed a peaceful protest in front of the Damascus Gate in memory of the killed Palestinians and for the right to pray at the Al-Aqsa mosque. Israel’s Military Order 101, dating back to 1967, prohibits all gatherings of 10 or more persons “for a political purpose” unless they have received authorization in advance under a permit issued by the Israeli military commander in the area. Without this, there is a threat of imprisonment for up to 10 years and/or a grave fine, according to a recent Amnesty report. 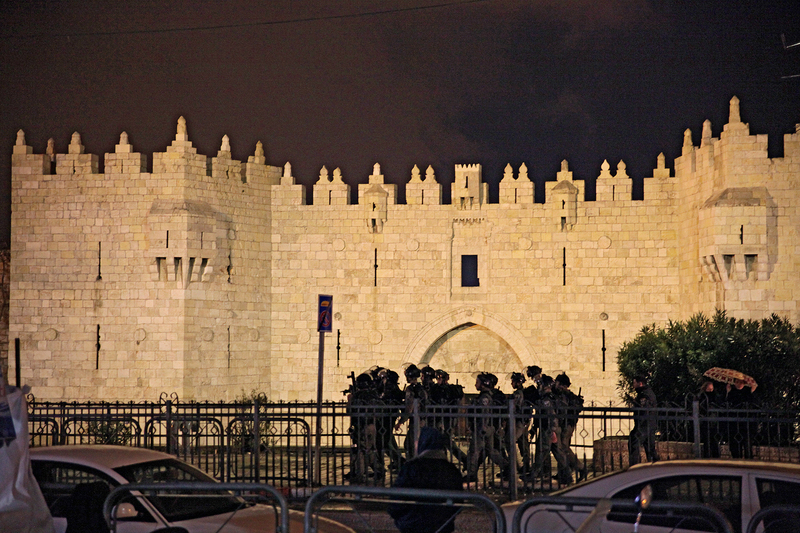 Soldiers position outside Damascus gate during a demonstration against the killing of Palestinians and for the right for access to pray in Al Aqsa mosque. Photo EAPPI/K. Ranta. Tuesday’s events reflected this military order. After 10 minutes of the demonstration minutes, Israeli riot police started to shoot sound grenades into the middle of the crowd. Israeli riot police also injured several people with rubber bullets and batons by Israeli forces. EAs eyewitnessed brutal maltreatment of two arrested young men in the middle of the street. We wondered, if this is what happens when we are here to witness, what is happening to Palestinians when hidden from the public eye? On 27th of February Amnesty International published a new report Trigger-happy: Israel’s use of excessive force in the West Bank about human rights abuses in the Occupied Palestinian Territories. According to the report there were 27 Palestinians killed in 2013, 8 in 2012, and 10 in 2011. So far in 2014, 5 Palestinians were killed by Israeli forces. We thought of the Palestinians killed. We thought of the renewed violence in Gaza and southern Israel. We wondered, how many will have to die this year?And when will the international community say enough is enough?